Hello and welcome to another edition of News GaiDen! We’ve got a lot of exciting news this week, so lets not waste any time jibber-jabbering and just get right to it. 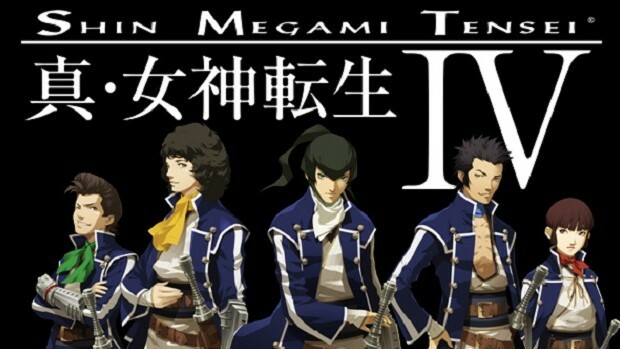 Christian: Atlus announced Shin Megami Tensei IV for a July 16th NA release. This is great news. I’ve been looking to get into the mainline SMT series, and although I know Soul Hackers is out this week, I’ll be skipping it for now on account of having WAY too many JRPGs to play. An interesting thing about SMT IV’s release is that it’ll be coming with a $50 price tag, which is about $10 more than your average 3DS game. This reminds me of a bygone era, a time when SNES cartridge prices varied wildly, and you could pay up to $75 or $80 for a single cartridge. I doubt we’ll see prices like that again, so honestly this little price jump doesn’t bother me much. Peter: A few weeks ago I had already pre-ordered the Japanese version of SMT IV. 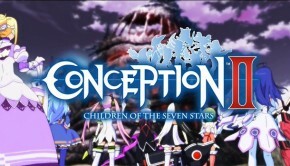 As soon as I heard this was getting localized for the west, I immediately canceled (Sorry, AmiAmi). It definitely is a great time to be a 3DS owner with the slew of great releases coming out. I don’t mind the premium Atlus is tagging onto this game at all if that is what it takes for them to continue to bring these games over. I’m surprised at the turn around in localization time since the Japanese version is releasing at the end of May and the North American release is scheduled for July 16 on Amazon. Peter: Fans of Nintendo AR cards rejoice! Nintendo will be releasing eShop point cards that also come with AR cards of several well known Super Mario characters. In a special eShop-centric Nintendo Direct, it has been revealed that in April Goomba, Mario and Princess Peach with be appearing on 1000, 2000 and 3000 Yen Nintendo eShop point cards, respectively. Along with the launch of the AR Cards will be a special app called “Photo Together with Super Mario” that allows you to take photos of your AR card characters. At a future date, Koopa Troopa, Luigi and Bowser cards will also become available. Hopefully, Nintendo of America decides this is a good idea and gives us a little something extra with our purchase of eShop point cards. Christian: Muramasa Rebirth is a no-brainer for me. I loved the Wii release, and I’m super excited to see this game redone on the Vita’s beautiful screen. This week the details of the limited edition bonus items were revealed, and although it’ll cost an extra $20, I’m in. I love limited editions so long as they’re within reason price-wise, and the face cover and pouch sound genuinely useful. Christian: I’ve said it numerous times before, but PS+ is an amazing service. What you get for your $50 annual subscription is nothing short of amazing. The recent release of Demon’s Souls on the service only reinforces this belief. Now, I’ve already played and loved this game so it’s not really for me, but if you haven’t there is no better time than now. Play this game. Just go. Peter: Another game that I am excited to see get localized for North America is Fantasy Life. I’m a big fan of anything Brownie Brown does and seeing all the Japanese commercials for this game has really piqued my interest. In Japan, Fantasy Life players will be receiving a content update which will hopefully mean even more content for North American players when this game is finally released. Christian: We don’t really talk about XBOX news very much on this site. I no longer own a 360, and Peter doesn’t have one, and Japan doesn’t care about it, so it just rarely comes up. This was too big to ignore. Adam Orth, a “creative director” at Microsoft Studios went on a bit of a twitter rampage lambasting folks who are up in arms about the rumors circulating about Microsoft’s as of yet unannounced new console. Kotaku actually ran a story about the rumors earlier in the day, and the gist of it is that the next XBOX will always require an internet connection to play games, and that losing the connection would dump you out to network troubleshooting from your game. Apparently, nobody at Microsoft got the memo, but requiring a constant connection to the internet (see Diablo III, Sim City, Ubisofts PC DRM debacle) is always a bad idea. It’s an especially bad idea when you force this requirement on customers for no reason. This is about as anti-consumer as you can get, and I don’t understand why Microsoft continues to remain silent about their next console, especially now that this guy has gone and pissed in the pool.